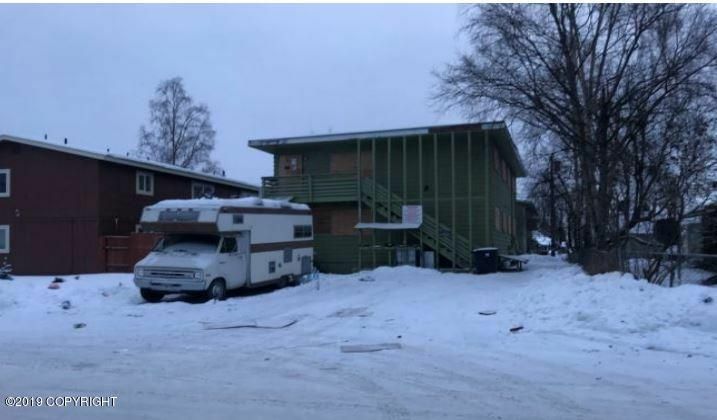 Built in 1971, this multi family unit features four units and an fully finished basement. Property is in poor condition. All windows and doors are boarded up. Possible mold (visible). All units consists of two bedrooms and one bath. Gross living area for property is 2, 520 square footage of living space. Total lot size is approximately 6, 250 square feet. North of Glenn Hwy; West of Vanderberg Ave. Approximately six minutes from Merrill Field Airport.